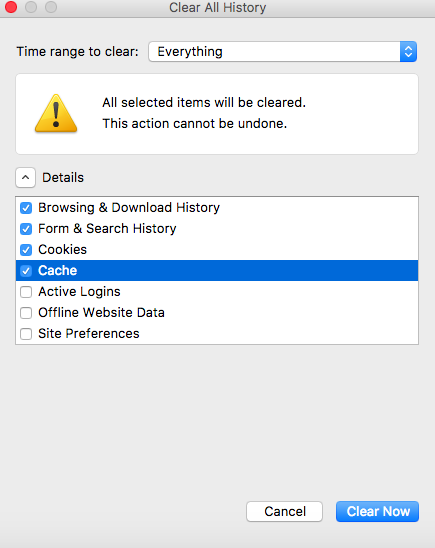 Clearing Cache and Cookies is an important first step for almost any troubleshooting for internet browsing. The 'cache' is a tool used by your internet browser to speed up the page loading process. However, sometimes it can cause a problem when websites are updated and developed as files saved in the cache may conflict with what's actually coded into the website. Clearing Cache and Cookies is a way we can be sure that any issues you may come across are actually something wrong with the website, rather than inconsistencies caused by using different browsers. 3. Select Clear Browsing Data from the left-hand side. 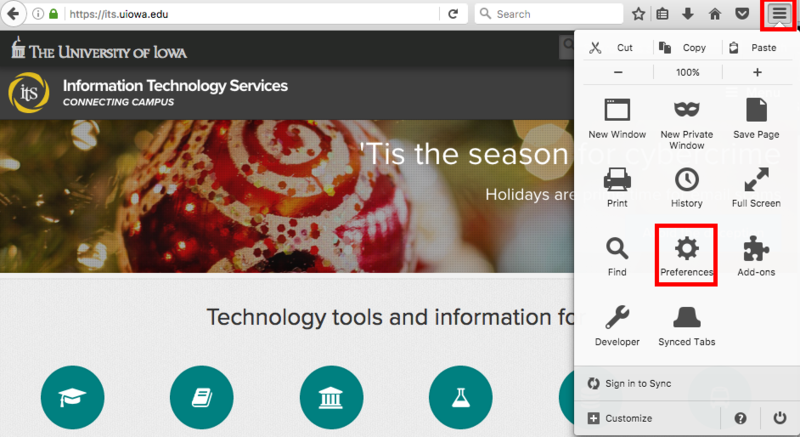 Check-mark Cookies and other site data and Cached images and files and select Clear Data. 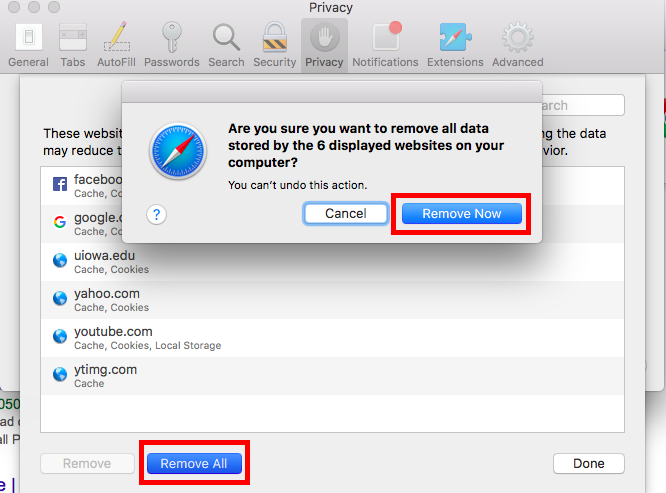 Close your browser (or quit the program if you're on Mac) for changes to take affect. 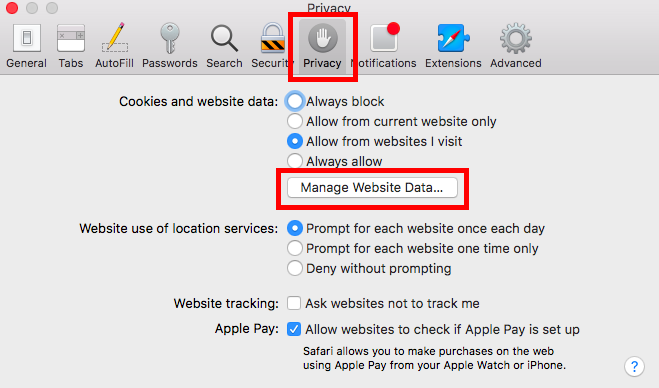 On the menu to the right, select "privacy"
Note: you can deselect the top two options if you don't want to clear browsing, download and search history. Note: Safari is a Apple-only web browser. 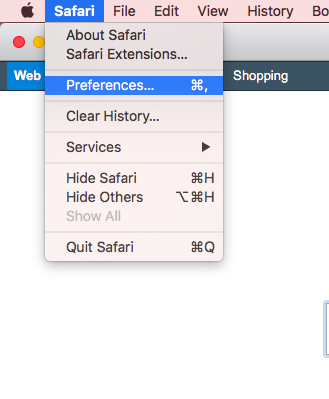 Quit Safari (don't just close it) and reopen for your changes to take place. Scroll down until you see "Browsing data"
4. A pop-up will come up verifying that you want to clear the Cookies and Data. Select Clear. 5. The button for Clear Cookies and Data should turn gray. 1. Open Google Chrome on your iOS. 2. Click on the menu toolbar in the top right corner. 4. Under advanced, select privacy. 5. Select Clear Browsing Data. 6. 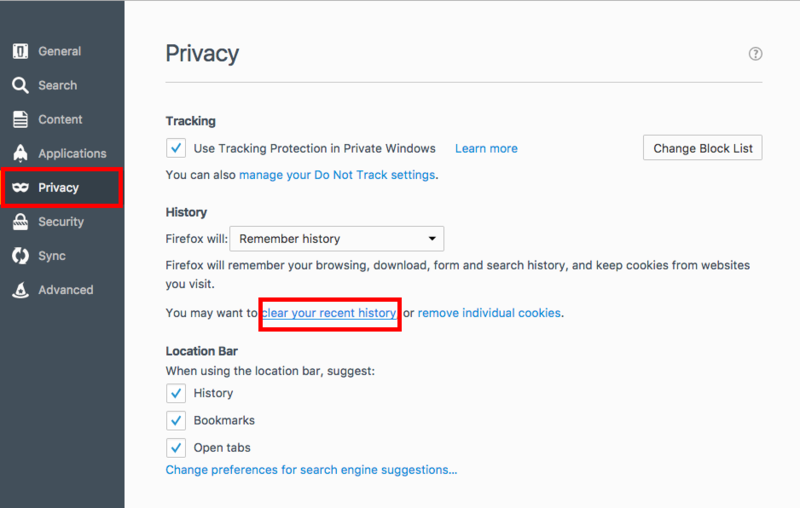 Select the top three options - browsing history, cookies and site data, and cached images and files. 7. Once you've chosen the settings you want to clear, select Clear Browsing Data in red.